Xbox gamers looking forward to playing the highly anticipated upcoming games Dragon Ball FighterZ or Sea of Thieves both of which are currently under development may be interested to know that in the latest This Week on Xbox episode created for the week starting January 12th, 2018. Major Nelson explains more about the open beta for Dragon Ball FighterZ and the upcoming beta for Sea of Thieves. Check out the video below to learn more about each as well as more news and future releases on the Xbox platform. To recap Dragon Ball FighterZ is currently under development by Arc System Works and will be published by Bandai Namco and will be available to play on the Xbox One, PlayStation 4 and PC systems and will be launching worldwide later this month on January 26th, 2018. The fighting game allows players to select three characters to form a fighting team during which one character is controlled and can be switched with the other two were to anytime. 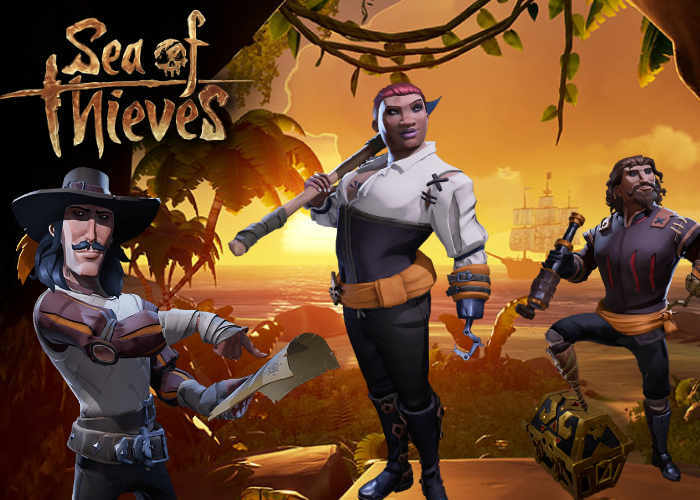 Sea of Thieves currently under development by Rare is a new pirate themed action adventure game that will provide cooperative multiplayer and will be available to play on the Xbox One and PC systems and has been built using the Unreal Engine 4. The open world game allows you to explore using your pirate ship and assume different roles on the deck, as well as embarking on quests collecting loot and engaging in combat against other players. Sea of Thieves officially launches on March 20th, 2018 and will be published by Microsoft Studios. Don’t forget you can also watch the interactive version of This Week on Xbox from the Community section of the Xbox One dashboard in Canada, the UK and the US or watch it on the Xbox YouTube channel by following the link below.